Karlsruhe is located in the South-West of Germany in the state of Baden-Wuerttemberg and is well accessible both via train and airplane. 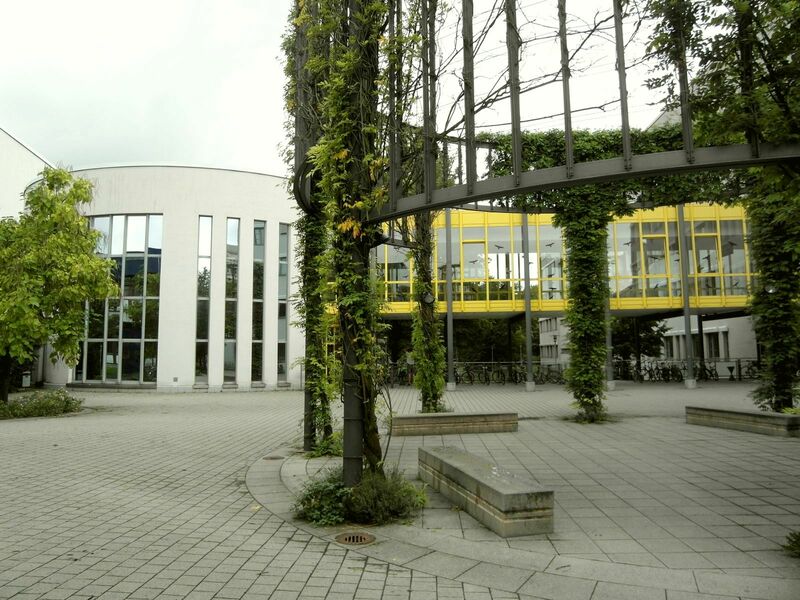 The Karlsruhe Institute of Technology (KIT) will provide the locations for the conference. KIT is the merger between Research Center Karlsruhe and the University of Karlsruhe. KIT unites the missions of a University of the State of Baden-Wuerttemberg and a National Research Center of the Helmholtz Association. With 8,500 employees, 19,700 students, 364 professors, and 650 Mil EUR annual budget it is one of the largest education and research institutes in Germany. KIT provides excellent conference facilities and yet accommodation in Karlsruhe has relatively decent pricing. Karlsruhe is well connected and has an outstanding public transport system. 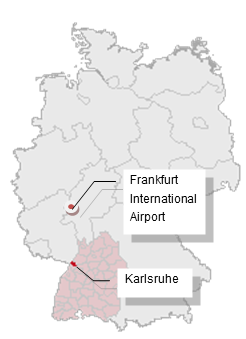 Karlsruhe is located just one hour by train from Frankfurt International Airport and connected to the German as well as the French railway system. It is easily reachable both by train and airplane. Within Karlsruhe a convenient street car system links locations in the city (and the surrounding region) to KITs Campus South, the former University of Karlsruhe. Karlsruhe is well-connected via road and rail, with highway and ICE bullet train connections going to Frankfurt, Stuttgart/Munich and Freiburg/Basel. Karlsruhe is also connected to the French TGV network: travel time to Paris is three hours, and to Strasbourg, only 45 minutes. Frankfurt International Airport (FRA), Germany's largest international airport, has a dedicated long distance train station right opposite the terminal 1 building. From there Karlsruhe main station can be reached in 1 hour using ICE trains that depart every hour. From Karlsruhe main station, KIT can be reached conveniently, e.g. via street car lines 3,4 and 5 within 10 minutes. The main conference will be held at Am Adenauerring 20 in the AVG (Allgemeines Verfügungsgebäude), building 50.41 in the ground floor. The poster session and the lunch dinner will take place before it. The Institute of Telematics will provide seminar rooms for holding workshops and the doctoral colloquium: 5 rooms (20-40 persons/room). The address for navigation is Am Fasanengarten 5, Building 50.34. Below you can see where the respective locations can be found. To reach the AVG Building and the Institute for Telematics you can get off at stop "Durlacher Tor" or "Karl-Wilhem-Platz". Below is a list of the hotels you can stay in during the conference. Please book your rooms before the expiry dates. Using the keyword "KIT-Context", you can benefit from special rates. The rates are valid before the deadlines referring to the hotel list.